THE TX125 test unit from Teletech is used for qualifying copper cable for digital services. 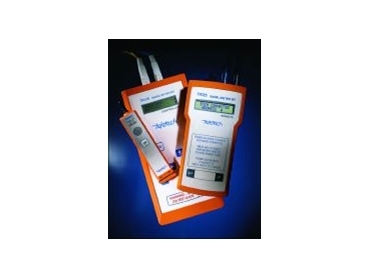 The TX125 includes all the baseline features of earlier Teletech products such as the ability to remotely pair identify, open circuit and short circuit the line using signalling over the line under test. The TX125 also has the added ability to download and store pre-programmed automatic test sequences from a PC. These tests can be specifically programmed to qualify lines for ADSL, pair gain systems, ISDN and all new high-speed digital services. Testing such as line loss at frequencies from 50Hz to 2MHz, line balance, crosstalk, insulation resistance and foreign battery are all available with the test set.